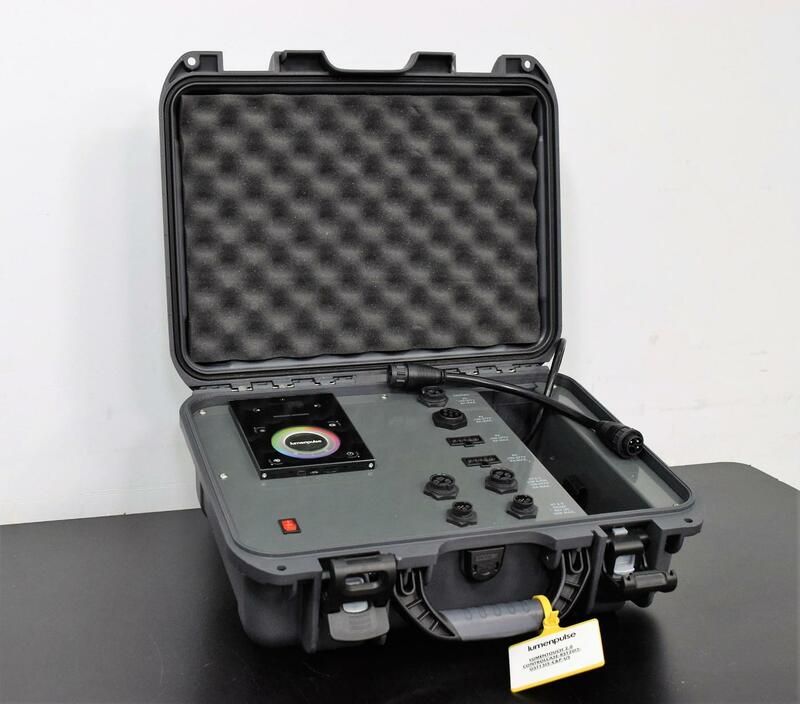 LumenPulse Lumen DMX512 Controller 2.0 for Lighting Effects w/ Portable Case . New Life Scientific, Inc. The LumenPulse 2.0 is an easy to use lighting effects controller. You can program, modify and trigger lighting effects and shows, dimmers, speed and color, with just a simple touch. You can get an app to operate this from Google play store or download the software, manual, show templates and quick setup guide from the manufacturer. This controller is mounted in a portable case for simple transportation and protects the controller. Included is an extra access cable, many of the lights are available out there and this model is still supported by the manufacturer. Our technician confirms the controller does power on and all buttons are functional and responsive. 4.25 x 5.75 x 3/8 in.